How To Create a Spring Feeling In Your Home! Create a dynamic clash in your Interiors mixing old pieces with new for an interesting edgy riotous look. Take what you’ve got and add something new – be daring, and exciting. 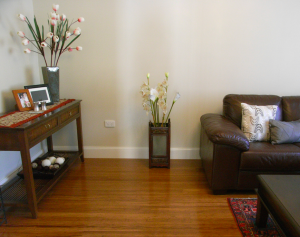 With a few small changes, you can wake up feeling energised and positive in a refreshed home. Here are my tips on creating a spring atmosphere in your home! Add Florals – Surround yourself with flowers. 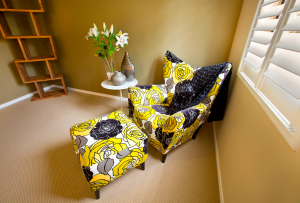 Bring out floral patterns on pillowcases, throws and curtains. Mix these prints in between pale neutral colours this will bring a hint of sunshine to the room without being overpowering. Fun in the bedroom – Don’t be afraid to mix neon pop prints with bright patterns in the bedroom . Test out different themes such as safari, tropical or floral. Be brave go bold! Fresh plants – Interior design lovers the chance to refresh the rooms of their home and bring a little of the outside into the house. Live inside your own secret garden with an array of new spring plants like palms and philodendrons as well as potted flowers and fresh cut bouquets. Repaint – If you want more of a makeover, spring is the best time to start new and painting can be the first step. Pick a nice neutral or even a white to brighten and lighten up the house. Enjoy the simplicity it creates with that crisp clean feel. If you want to add a splash of colour now is time to experiment with a favourite shade – maybe a pale violet or a mint green. Go Natural – Think about introducing natural materials like straw, wicker, and twine, into your home. Add natural bowels like a wicker basket with beautiful twigs and dried flowers. Clutter control – Clutter control is essential, too – make sure your house is clean, clear and ready to go. Start afresh with no mess! Clean up outdoors – Soon most days will be spent outdoors so attend to your garden. Add in some comfortable seating maybe try a new water feature and add in pots with colourful plants. Sweet Scents – Add fresh spring smells to your home with lovely scented candles. Try new flavoured smells like guava and lychee sorbet.